← Germany vs Greece: The battle commences! If debts cannot be repaid they will not be repaid. Debts, in the commercial world, usually end up being settled. If they aren’t settled it is nearly always because debtors cannot pay rather than because they have chosen not to pay. There is a well recognised procedure , in civil law, recognising this truism, which can end up in the bankruptcy of the debtor if a suitable settlement with creditors cannot be satisfactorily negotiated. Bankrupting a country, like Greece when it gets into financial difficulty, however, is not a political option. Unless we want to start another war between Greece and Germany that is! So what are the options? Apart from carrying on, in both senses of the term, in the the present irrational manner there is only one. If Germany (plus other countries such as Holland who also own Greek debt) requires Greece to repay its debts, Germany has to recognise that Greece has to pay in something other than euros, at least not directly, as it clearly does not have anywhere near enough and has fewer now after the application of the supposed economic remedy (punishment?) by the troika than it had previously. Therefore, it has to pay in real goods and services: Tourism. 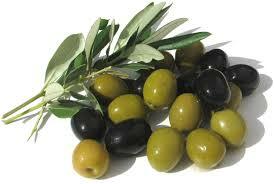 Olives. 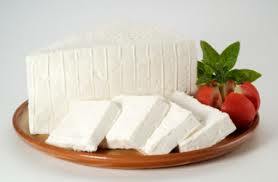 Feta cheese. Ouzo. Shipping. Whatever Greece makes, does and sells, Germany needs to buy to enable the debt to be settled. And it needs to buy more from Greece than it sells to Greece. That way Greece ends up with the euros, which pays the Greeks for growing the olives, running the tourist hotels, making the cheese etc . This enables Greece to provide jobs for the unemployed, improve its Government’s tax revenue base, grow its economy, and also enables the Greeks to service, and eventually settle, their German debts. The same naturally goes for Spain, Italy and even France. In other words, German debts get repaid when, and only when, Germany decides to accept real goods and services instead of euros. This in turn means that Germany has to run an economy more along the lines of the UK and the USA economies and import more goods and services than it exports. If Germany and Holland don’t want to accept the reality of the situation, it is they who should exit the Euro not Greece or Spain. This entry was posted in MMT General and tagged Balance of trade, bankruptcy, Borrowings and Lendings, Chartalism, Currency, Economic growth, Economic system, Government debt, Greek debt, Modern Monetary Theory, National Debt, Post-Keynesian economics, Resources and Money. Bookmark the permalink. If Germany imports more from Greece , won’t they just be handing over Euros for those imports? How is that Greece repaying Germany? If Greece and Germany increase their trade, on an equal basis, that would be good for Greek growth but it would not change the financial balance. Germany has to import more from Greece than it sells to Greece. That way the Germans will have a surplus in real goods and services, which raises the German living standards. Greece will end up with a surplus in euros which it can use to service its debts. So you can look it either in terms of Greece repaying its debts in providing extra goods and services to Germany. Or, in terms of selling goods and services to Germany and using a financial surplus to repay debts. Its effectively the same thing. The same method too that Germany used to repay outstanding debts in the post WW2 period – although most were written off with the London agreement of 1953. Ironically, the solution is not for Germany and Holland to pay more. The solution to the Greek “debt problem” involves putting them less into debt, rather than more into debt, as the so-called bail-outs do, and which of course means that the creditor countries have recovered their money rather than lost it. That’s just basic accounting. The end result is that Germany ends up better off not worse off. But,it does means fixing the Greek economy rather than breaking it. It means working with the new Greek Syriza government who, I believe, genuinely want to do that. What has Germany got to lose? Nothing. The only chance Germany has of coming out ahead is Greece comes out ahead too. There can be no repayment or even servicing of debts otherwise. I hope I am wrong in thinking that Angela Merkel and the other German ordo-liberals are far too pig-headed to allow that though! Peter, Clearly you are right in theory: Germany etc must import more from Greece etc. But how are you actually going to achieve that? Plus the EXISTING SYSTEM, i.e. getting periphery countries to internally devalue actually achieves what you want. Only trouble is that imposing deflation on the periphery with a view to achieving internal devaluation works very slowly and involves big social costs. But I don’t see any nice simple alternatives, do you? The easiest way would be for Germany to reduce taxes and/or increase spending to boost demand in its own economy -even to the point of creating 5% inflation. After a few years of that imports will rise and exports will fall. The Germans won’t like it, much less will they understand the rationale behind it, but that’s what needs to happen to even start to make the Euro work. They’re good at engineering cars but not so good at engineering financial systems which work and are fit for purpose. Even otherwise intelligent Germans usually don’t have the first clue about all this. As far as they are concerned, if they can manage with the Euro, then so should everyone else. In their own minds it just confirms what everyone else thinks that they think about other nationalities. That is – they are better!